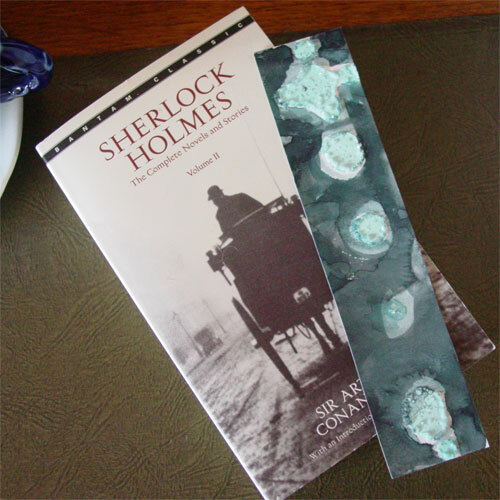 This little bookmark is a relative of my larger piece, On the Horizon. I’ve been field-testing it and actually the salt crystals are really there to stay. The salt pools are just shallow enough that they don’t scratch up the page or overly stuff the book, and the paper it’s on is a nice sturdy watercolor paper. 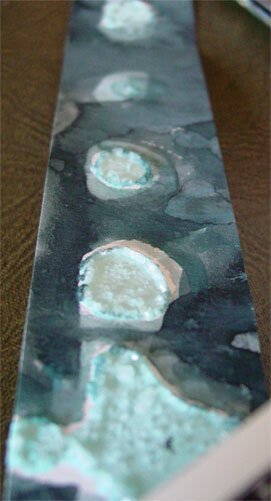 Horizon Bookmark, 1.5″x7″ mixed media on paper.